R.H. Witt Heating & Sheet Metal is a family owned and locally operated HVAC company serving residents in Northbrook and throughout North Shore and Northwest Suburbs. We’re a BBB accredited business, a Carrier Factory Authorized Dealer, and a Carrier Presidents Award winner. Our team of technicians is committed to superior customer service and 100% satisfaction. Schedule an appointment for heating and cooling service, or call for a repair. When it’s time to replace your current system, contact R.H. Witt Heating & Sheet Metal for professional heating installation and A/C installation. Our team receives ongoing training to stay up-to-date on the latest techniques and trends, so we can provide accurate product recommendations and service. 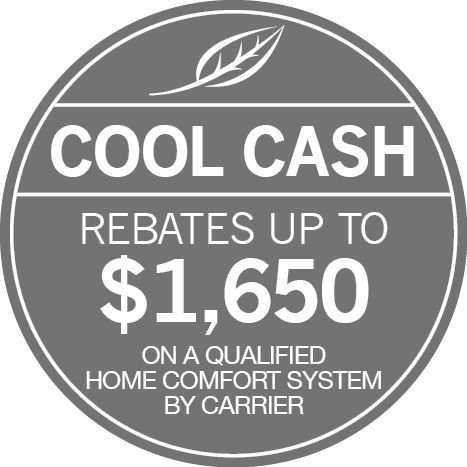 As a Carrier Factory Authorized Dealer, we offer innovative heating and cooling equipment, including geothermal HVAC systems. Our technicians will properly size your new furnace or air conditioner, and we’ll never replace a current unit without a full understanding of your home’s structure and existing ductwork. Schedule an appointment today to discuss your installation options. Each year, schedule a system tune-up to prevent expensive repairs and sudden breakdowns. At R.H. Witt Heating & Sheet Metal, we aim to earn your satisfaction by restoring your furnace or air conditioner to peak condition. We offer flexible scheduling, a lifetime warranty on workmanship, and a 100% satisfaction guarantee. Call now to schedule furnace service and air conditioning service. If you’re experiencing any issues with your air conditioner or heating system, contact R.H. Witt Heating & Sheet Metal. A simple malfunction can lead to major expenses, interrupted comfort, energy waste, and safety risks. Our technicians are NATE- and EPA-Certified, and available 24 hours a day to assist you. Contact us for air conditioning repair and heating repair in Northbrook.